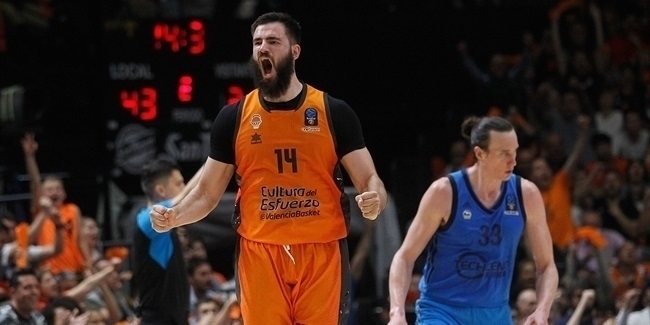 Valencia Basket won its sixth consecutive game, downing Limoges CSP on the road, in its usual way by getting a balanced contribution throughout the roster. What was a bit different last night was that one of those important contributors was guard Antoine Diot. 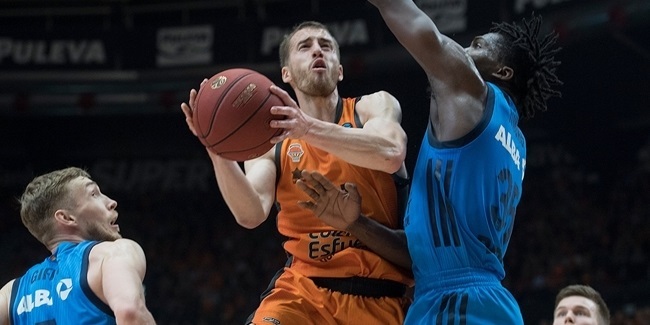 It has been a long awaited moment for Valencia and Diot, who had 9 points in 10 minutes as a starter. It is Diot’s third appearances this season in EuroCup, and fourth in all competitions after returning to the floor last month. However, this appearance was by far the most significant one for Valencia’s Frenchman, and not because it happened in his native country. “Diot showed better confidence and better rhythm in practice in last weeks and we thought it was a good day to start him”, Valencia head coach Jaume Ponsarnau said in a press conference after the game. A week shy of his 30th birthday, Diot is coming back from injuries that sidelined him for more than 14 months, and caused him to miss the entire 2017-18 season. 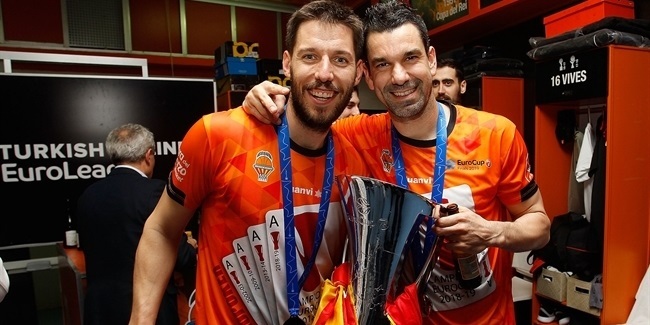 A veteran of 75 EuroCup appearances, he started last season sidelined with left knee pain and discomfort, and ended up undergoing surgery in November 2017. After ups and downs during the recovery, Diot returned to practicing last summer, but skipped playing in the preseason with different muscle problems in the same left leg, before suffering a muscle fiber tear in late September. He did not return until mid-December, making it exactly 444 days between two games when he entered the court to play 4 minutes in regular season Round 9 clash against Zenit St. Petersburg. Getting playing time in small dosages is what is in store for Diot after such long layoff, but his re-addition to the team makes this Valencia side an even more dangerous.